Robert Cowell: Feel the Need…The Need for Speed! Robert Cowell, 49, started training from his current base, at the privately owned Bottisham Heath Stud at Six Mile Bottom, Newmarket, Suffolk in 1997. However, he had previously served a lengthy apprenticeship with Gavin Pritchard-Gordon, David Nicholson, Jack Berry, John Hammond in France and Neil Drysdale in America. He was also a competent amateur jockey, riding 10 winners on both sides of the English Channel. Cowell first took out a public training licence at Hollywood Park, California in 1996, but later explained, “I was training for a few people with only a handful of horses, the majority of which were claiming class and of average ability.” After returning to Britain the following year, he saddled his first winner, Mary Cornwallis, in a 5-furlong handicap at Lingfield in January, 1998. Win at that level Cowell certainly did, saddling Jwala to win the Coolmore Nunthorpe Stakes at York in 2013 and Goldream to win the King’s Stand Stakes and the Qatar Prix de l’Abbaye de Longchamp in 2015. Other high-profile winners for the yard in recent years have included Kingsgate Native in the Betfred Temple Stakes at Haydock in 2013, Intrinsic in the Stewards’ Cup at Goodwood in 2014 and Outback Traveller in the Wokingham Stakes at Royal Ascot in 2016. 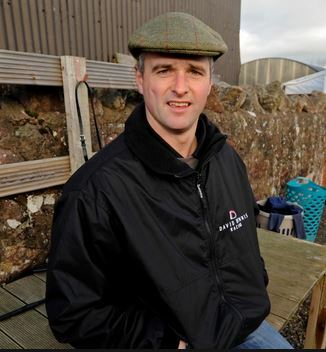 David Dennis is a fairly recent addition to the training ranks, having taken out licence in 2013, but he ran a pre-training yard and spent a decade as a professional National Hunt jockey before setting up on his own. Highlights of his riding career included Kingsmark, winner of the Edward Hanmer Memorial Chase at Haydock three years running in 2000, 2001 and 2002, and Brewster, winner of the stanjames.com Challow Hurdle at Newbury in 2004. Lowlights, on the other hand, included his ride on Jardin de Beaulieu in the Arkle Challenge Trophy at the Cheltenham Festival in 2002, in the days before remounting became a fruitless exercise. The 100/1 outsider was tailed off when turning a somersault at the second last fence, but was caught by a groundsman, who offered Dennis a leg up. However, the well-meaning, but heavy-handed, attempt to reunite the partnership succeeded only in tossing the jockey clean over the horse and back onto the Prestbury Park turf, from whence he had arisen just moments previously. Nevertheless, Dennis survived the trials and tribulations of a National Hunt jockey until 2011 and, two years later, started training at Tyne Hill Stables, Hanley Swan, near Worcester. 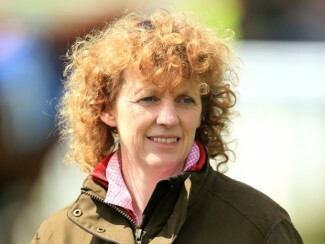 He saddled his first winner as a trainer, Princess Caetani, in a mile-and-a-half handicap at Chepstow in September 2013. His one and, so far, only major success came at Newbury in November, 2016, when Roman Flight, ridden by Noel Fehily, won the bet365 Open Handicap Chase, worth just over £31,000 to the winner. All in all, Roman Flight won eight races over hurdles and fences for his owners, the Favourites Racing Syndicate. Other notable horses that Dennis has handled in his short career include Maller Tree, who won twice in two days at Fakenham and Wetherby in 2014 and twice in three days at Newton Abbott and Huntingdon in 2015. In the 2014/15 season, Dennis also saddled Marju’s Quest to complete a hat-trick of wins at Worcester (twice) and Taunton. More recently, the Kayf Tara gelding Final Nudge won three steeplechases for the yard in 2016/17 and finished third in the Coral Welsh Grand National at Chepstow in 2017/18. In March 2017, to coincide with the Cheltenham Festival, Dennis celebrated the opening of a new, 60-box yard and other facilities at Tyre Hill Stables. So far, he has saddled 129 winners, 21 on the Flat and 108 over Jumps, and earned just short of £1 million in total prize money. Henry Daly worked as assistant trainer to Paul Cole and Kim Bailey before joining the late Captain Tim Forster at Letcombe Bassett in the Vale of the White Horse, Oxfordshire in 1991. When Forster moved to Downton Hall Stables, near Ludlow, Shropshire in 1994, Daly went with him. He later admitted that familiarity with the yard stood him in good stead when Forster retired in 1998 and he took over the training licence. 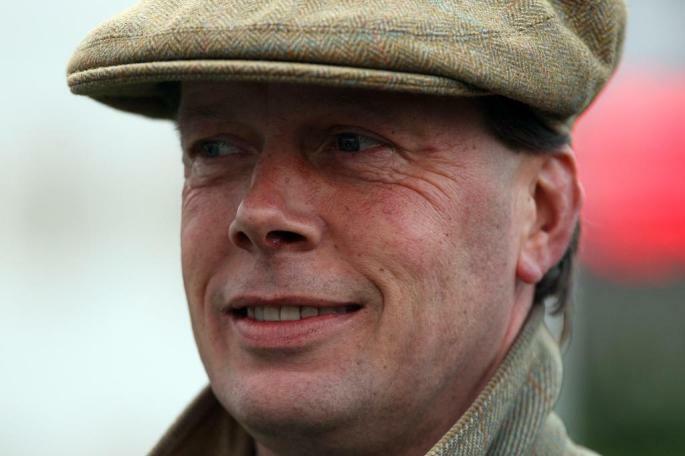 Indeed, Daly saddled his first winner, Don Fayruz, who was part-owned by Forster, in a novices’ hurdle at Wincanton in October, 1998, and his first Grade 1 winner, Behrajan, in the Tolworth Hurdle at Sandown the following January. In fact, Behrajan was his most successful horse in the early years of his training career, winning five of his 12 races over hurdles and six of his 17 races over fences – including the Rowland Meyrick Handicap Chase at Wetherby, the Silver Cup Handicap Chase at Ascot and the Pillar Property Chase Cheltenham – between 1998 and 2003. Coincidentally, Behrajan also finished fifth, beaten 14½ lengths, behind Best Mate in the Cheltenham Gold Cup in 2003, the year in which Daly saddled two of his three winners, at least so far, at the Cheltenham Festival. Young Spartacus, ridden by Richard Johnson, won the Mildmay of Flete Challenge Cup and Palarshan, ridden by Mark Bradburne, won the Grand Annual Chase 24 hours later. Daly has subsequently trained two more Grade 1 winners, Hand Inn Hand in the Ascot Chase in 2004 and Mighty Man in the Long Walk Hurdle, also at Ascot, in 2006. The latter also won the Top Novices’ Hurdle at Aintree in 2005 and the Liverpool Hurdle, also at the Merseyside course in 2006 and 2007. In late 2017, Daly created confusion when he doubly declared Crucial Role for one handicap hurdle at Haydock on Saturday, December 30 and another at Uttoxeter on Sunday, December 31. Crucial Role took up his first preference at Uttoxeter and was withdrawn from the Haydock race, but was reported “dead” by the British Horseracing Authority. Daly later explained, sheepishly, “Unfortunately, I pressed the wrong button this morning and they’ve changed it after I called them.” Crucial Role could only finish second at Uttoxeter, but won next time out at Ludlow and remains alive and well. Interestingly, in nearly two decades as a trainer, Daly, 51, has never saddled 50 winners in a season. The closest he came to that figure was 43, way back in 2003/04, but he has trained 564 winners in total and, in 2017/18, is operating at his highest strike rate ever (23%), for a level stakes profit of 52.25 points. 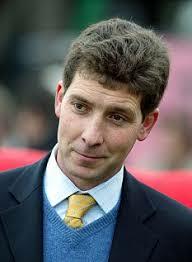 Born in Lancashire in 1979, Philip Kirby is the son of celebrated greyhound trainer Geoff Kirby. Kirby Jnr. initially joined Ferdy Murphy in 1997 and, in the briefest of riding careers, rode The Tollah to an 18-length victory in an amateur riders’ handicap chase at Sedgefield in November, 1999. At the start 2013, Kirby moved his string Sharp Hill Farm Stables in Middleham, previously occupied by Kate Walton, and commuted from the family home in Castleton every day. Kirby recorded his first major success in October, 2013, when 20/1 chance Lady Heidi was driven out by Silvestre De Sousa to win the Silver Tankard Stakes at Pontefract. In fact, 2013 was by far his most successful season, numerically and monetarily, on the Flat. Lady Heidi aside, five victories for Just Paul, four for Platinum and three for Dr. Irv contributed to a total of 32 winners for the season and just under £210,000 in win and place prize money. The 2012/13 National Hunt season was also his most successful, so far, at that point of his career, with 25 winners and over £120,000 in total prize money. However, Kirby found being away from his family increasingly difficult and, in 2014, left Middleham and returned to his previous arrangement. In April, 2016, he moved again, to Green Oaks – a purpose-built, 52-box yard in East Appleton, near Richmond, North Yorkshire – and, the following season, saddled his first high-profile winner, Lady Buttons in the Yorton Stallions Mares' Novices' Chase at Bangor, from his new, permanent base. 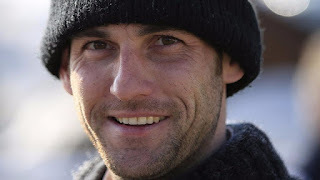 At the time of writing, Kirby features in the current list of “Hot Trainers” in the Racing Post, having trained 7 winners from 25 runners, at a strike rate of 28%, in the last 14 days. 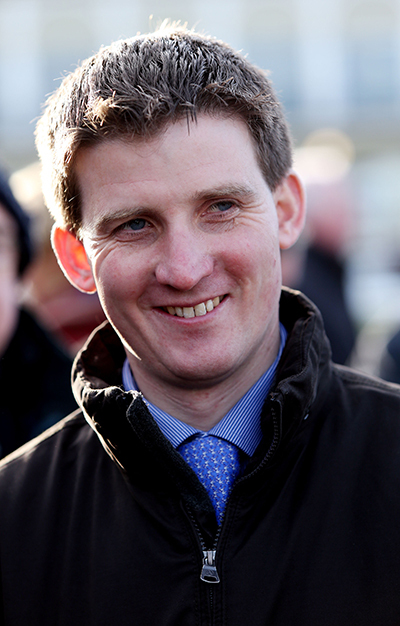 By his own admission, Neil Mulholland has “a bit of fun training some horses for the Flat”, but is, predominantly, a National Hunt trainer. He took out his first full training licence in 2008, when he replaced his former employer, Paul Keane, at Larkinglass Farm, near Shaftesbury, Dorset. In 2012, Mulholland moved his string to Conkwell Grange Stables, a purpose-built yard in Limpley Stoke, near Bath, Somerset. In 2012/13 he saddled 19 winners under National Hunt Rules and has steadily improved his total, year-on-year, culminating with 108 winners in 2016/17. However, life as a trainer has not always been plain sailing for Mulholland. In Novermber, 2014, he saddled The Young Master, an impressive, 7-length winner of the Badger Ales Trophy at Wincanton, only for the British Horseracing Authority (BHA) to lodge an objection. The objection, on the grounds that the horse was not qualified to run in the race, having run just twice over fences, instead of the prerequisite three times, was upheld. The Young Master was disqualified and Mulholland was fined £250 after being found to be in breach of Rule (C)37. He said afterwards, “I wasn’t the only one at fault. There were something like 1,500 non-qualified entries made last year, but [racing administrators] Weatherbys changed their [computer] system in September. It failed and I’ve had to pay the price.” To add insult to injury, The Young Master was raised 14lb in the weights for ‘winning’ at Wincanton. In March, 2015, Mulholland saddled his first winner at the Cheltenham Festival, when Druids Nephew, ridden by Barry Geraghty, won the Ultima Business Solutions Handicap Chase by 3¾ lengths. The King’s Theatre gelding started 10/1 fourth favourite for the Grand National on the strength of that performance but, having taken the lead at Valentine’s Brook on the second circuit at Aintree, fell at the fifth last fence. One horse heading to the Cheltenham Festival in 2018 is Kalondra, who finished tailed off in the Scilly Isles Novices’ Chase at Sandown last time, but on ground “a touch too soft for him to be seen to best effect”, according to his trainer. The 7-year-old has subsequently been dropped 2lb in the weights and can be backed at 16/1 for the Close Brothers Novices’ Handicap Chase, which Mulholland described as his “logical target”.